I have been shooting recurve for over 12 years and have represented Great Britain in the junior Europa cup stage 1 Slovenia, stage 2 Romania, the 2013 Youth world championships Wuxi, China, the European youth championships 2014 and at the Europa cup Moscow 2014. On average I shoot around 40 competitions a year recently winning Junior men’s recurve gold at the EAF2014. 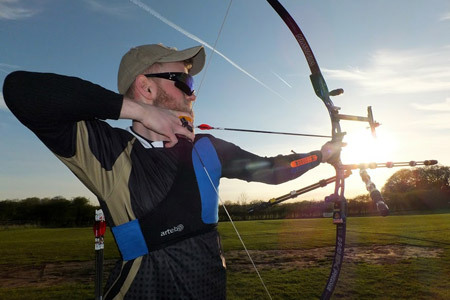 I have been on the Archery GB Performance academy since 2011 and have made massive progress from a national shooter competing for England to an international shooter competing for Great Britain.